They are generally the definition of premium, so it stands to reason that there are a few more considerations when you part with your money for a sports car. However, when you start to shop in the “used” category, a whole host of other points enter the picture. Let’s not forget that without generalising, a lot of these cars have been driven very “hard” and it means that you have to be a little more careful before you complete your purchase. To highlight the point in-detail, let’s take a look through today’s guide. In truth, this is one of those suggestions that you should be adopting regardless of the type of car you are purchasing. When it comes to a used sports car, the importance of your attention to detail is even more crucial though. As we’ve already alluded to, these cars can be driven at high speeds, and not necessarily smoothly. It means that there is every chance they may have been involved in accidents, and this is where you need to scrutinize the paintwork as much as you can. Check for gaps between panels, to see if any major reconstructive work has occurred, as well as the tiny dents. 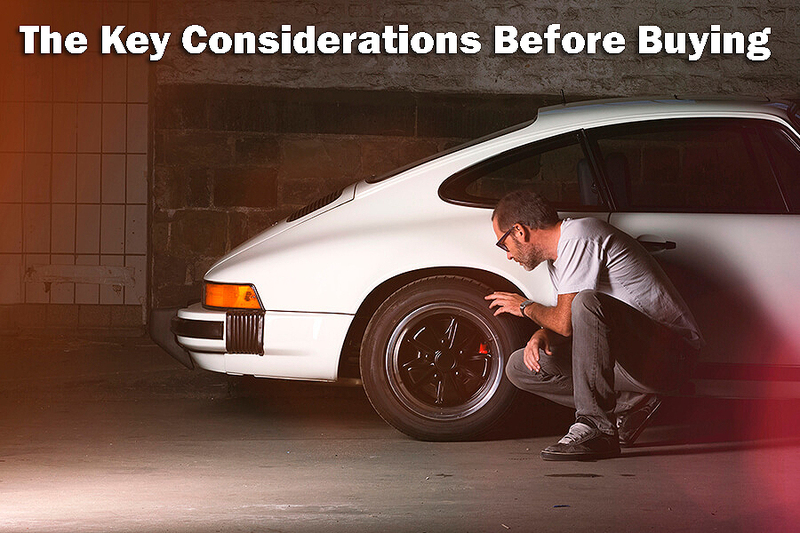 If in doubt, contact a Porsche repair facility to help you along your way. As well as the paintwork, pay special attention to the undercarriage as well. The fact that sports cars happen to be lower to the ground than a standard car means they are also more susceptible to problems in the undercarriage. Debris from the road can get caught up in this area, and cause no-end of problems. In even more serious circumstances, a particularly troublesome speedbump can do even more damage and this will be immediately visible with a quick inspection. They are regarded as one of the most luxurious elements of a car, but you also have to know what you are doing when it comes to soft tops. Unsurprisingly, as these are fabric-based, it means that they can become cut and damaged rather easily. As such, your first task should be to inspect them to make sure this hasn’t occurred. That’s not all either. 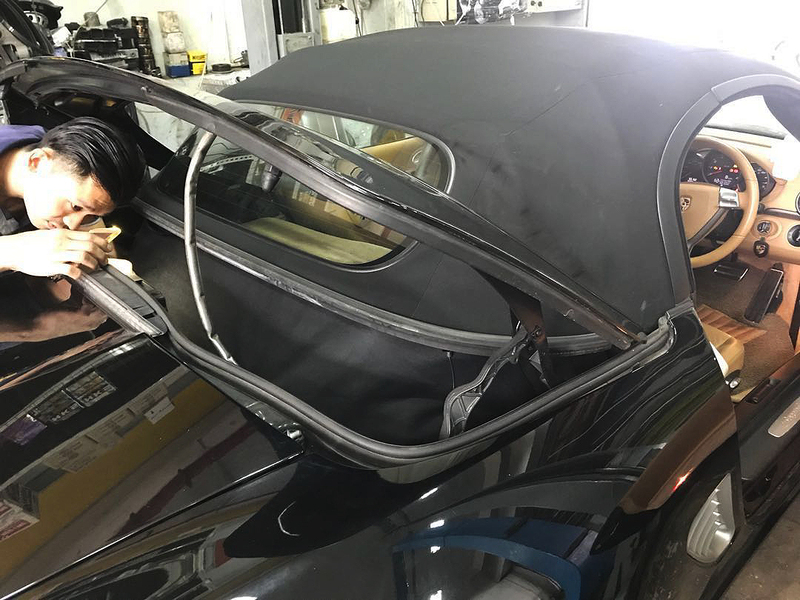 The seals have a habit of breaking as well, so making sure these are in order, as well as the plastic screen, is an important task if you are serious about not being stung when it comes to these cars. We’ve just talked about soft tops, but it doesn’t matter what type you have, it’s worth understanding that the mechanisms which operate them are very technical. It means that any damage can be costly, and this is why it is important to make sure everything is in working order. Ask the dealer for a demonstration of the roof, to make sure that all of the moving parts are working properly.